With three NCAA DI-bound pitchers eventually taking the mound, there was never a question that Walpole’s opening game Friday afternoon against Newton North was going to be a low-scoring affair. And when Walpole star and Tufts commit Matt Donato stepped up to the plate in the eighth inning with two outs, the bases loaded, and the chance to win the game, there was never a question as to how it would end. 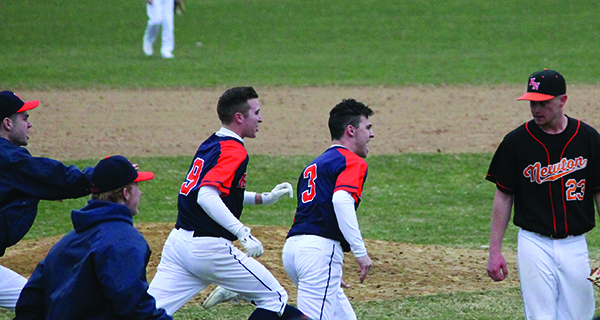 Donato’s walk-off base hit to right field gave Walpole their first win of the season, a 1-0 victory over Newton North on a day in which he also pitched seven shutout innings and had nine strikeouts. Because of the low scoring nature of the game, the cold weather, and the occasional sign of opening day rustiness from the players, tense moments abounded. In the fifth inning, two errors by third baseman Jackson Walonis, a hit batter, and a successful bunt had the Rebels in a tough spot. With the bases loaded and just one out, clutch pitching saw a strikeout and a fly-out end the inning with no damage done. For Newton North, the eighth inning saw an incredibly close play at the plate in which Walonis seemed to have dodged the tag but was called out, a few batters before their ultimate demise. Walpole had pulled Donato off the mound in the beginning of the eighth inning, not because he was faltering, but because coach Chris Costello didn’t want to tire him out or get him hurt in the first game of the season. The win was a big one for Walpole, as it was a league game in the Bay State Conference, which is expected to be very good this year. As to whether the lack of Walpole’s hitting was a sign of time off, Walpole coach Chris Costello gave Newton North credit where it was due. 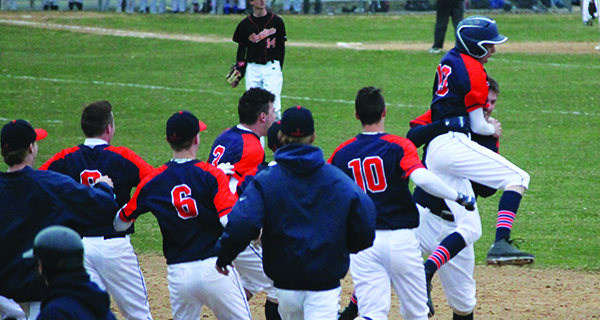 For Walpole, it was a really good high school baseball win.